• There are 376 rooms and 42 suites. • Grand Veranda restaurant, the Mathias Dahlgren Fine Dining restaurant, the Mathias Dahlgren Food Bar restaurant and the Cadier bar. • Sauna, fitness centre, spa and wellness centre, massage room, hot tub, indoor pool (all year), bicycle rental. 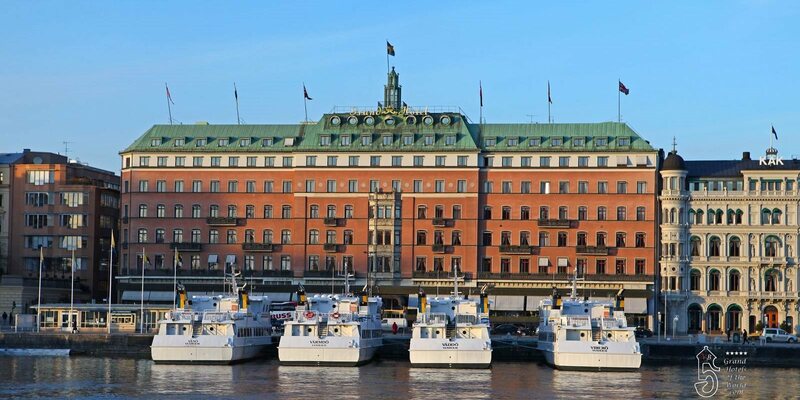 • Located opposite the Royal Palace in the Stockholm Business center and the Government district. • 1874: Opening of the The Grand Hotel.